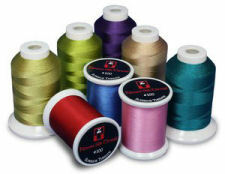 Kimono Silk� is the finest Japanese Silk Thread now available from Superior Threads. Ideal for hand appliqu� and invisible machine appliqu�. This #100 silk disappears, hiding stitches and allowing the fabric to lie flat. Perfect curves and points at last!